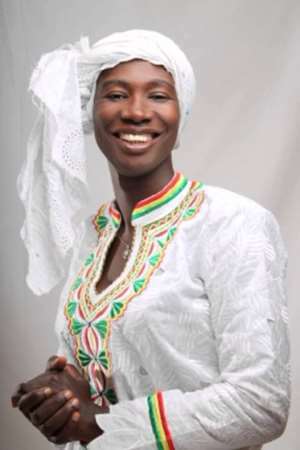 An Accra based business man, Mr bright Obeng Yeboah has dragged the Gospel musician Evangelist Cecilia Marfo after months of scuffles between themselves. The relationship between the businessman who happens to be a sponsor of Evangelist Cecilia Marfo is said to have gone sour resulting in the former asking Evangelist Cecilia Maafo to submit all his properties in her possession back to him. After months of numerous calls and several attempts by Mr Bright Yeboah to retrieve his properties from Cecilia Marfo proved unsuccessful, decided to drag the musician to court. In a 19 charges writ sighted by Attractivemustapha.com against the gospel musician. Narrating the story, the plaintiff explained that based on the relationship between him and Cecelia Marfo, he decided to help her become successful in her career. According to Mr Bright Yeboah, he bought a brand new vehicle to promote and enhance the work of the gospel artiste's ministry. He also added that he acquired 283 acres of land at Afienya which he registered it in Evangelist Cecilia Marfo’s name and fenced it. As a result of the accusations and the strain relationship between them, he demanded that all his properties be returned to him.